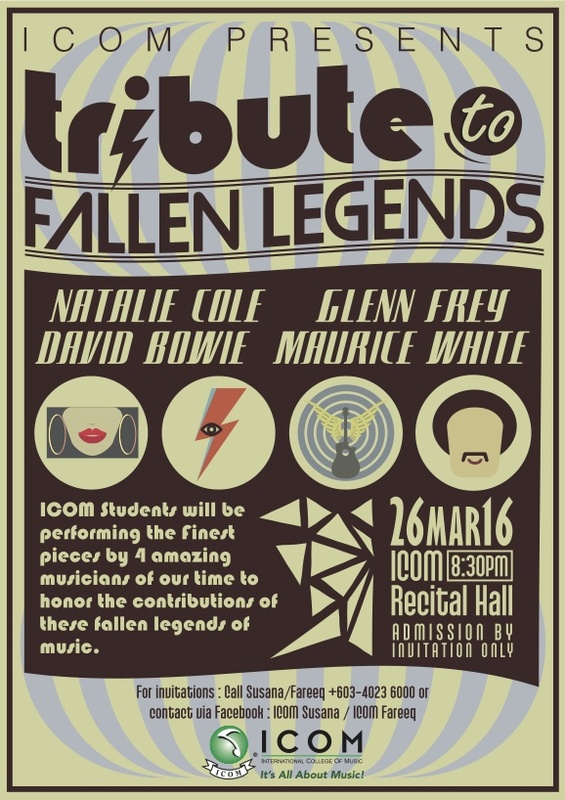 Students of the International College of Music (ICOM) will perform a tribute concert to celebrate the music of the late Natalie Cole, David Bowie, Glenn Frey (Eagles) and Maurice White (Earth, Wind and Fire). These great icons of music have inspired countless musicians around the world with their signature music, stage persona and classic hit songs. The Tribute to Fallen Legends features a selection of the finest songs by these four remarkable artists of our time to honor their contributions to the music industry. Twenty-five students from seven countries worked together to plan and produce the concert including song selection, music arrangements, performance, live sound engineering, lighting and video production, décor and concert management. Fifteen musicians under the leadership of Lee Kuan Yu (Malaysia, Semester 3, Foundation in Music) and Elisha Tiga (Brunei, 2nd Year, Bachelor of Music (Hons)) will perform the music, while ten students led by Sahas Bala (India, Semester 3, Certificate in Audio Production) and Clarrie Sim (Malaysia, 1st Year, Bachelor of Music (Hons)) handle the technical production. The tribute concerts function as an excellent platform for students to learn about the music of the artist and to gain real life learning experience in showcasing their talents to a live audience. The ICOM Celebration Series is an iconic concert series which started in 1997 and is the brainchild of Irene Savaree, President/CEO of ICOM. The concert series gives tribute to both local and international artists who have shaped the music landscape with their music. Some of the past tribute concerts include Classic Rock, Bee Gees, Michael Jackson, The Musicals Sharifah Aini, Paul Simon, Zainal Abidin, Alleycats, Disney and many more. 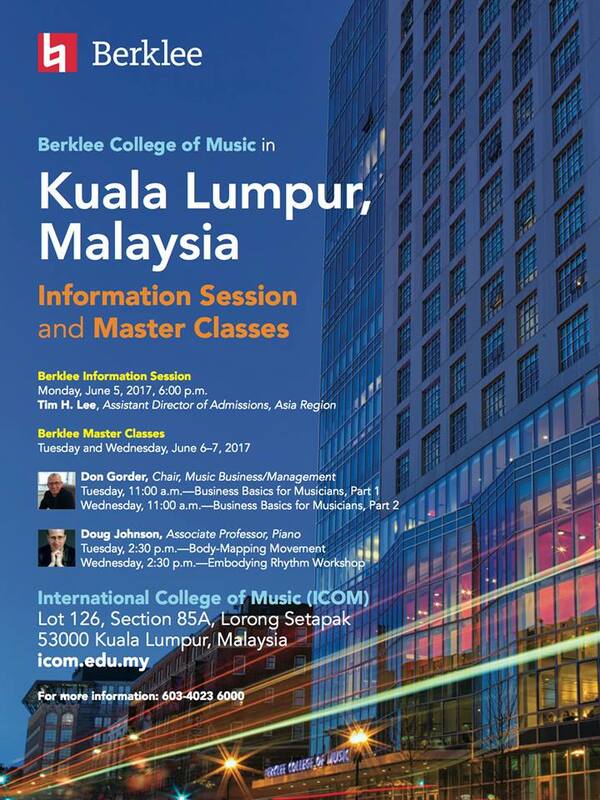 ICOM Online – part of ICOM Extension Program, which offers music, production and business courses online.